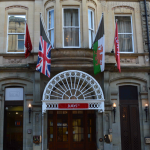 On behalf of the Association of British Philatelic Societies and the Cardiff and Newport & Gwent Philatelic Societies, we welcome you to the 2017 Philatelic Congress of Great Britain to be held from 27 to 30 July at the Jury’s Inn, Park Place, Cardiff, CF10 3UD. This is the second time that Congress has been held in Cardiff, the first being in 1991. Jury’s Inn Hotel is set on the edge of a pedestrian precinct. 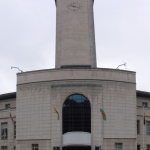 It is accessible from Cardiff Station in 15 minutes on foot. For those flying into Cardiff Airport, an express bus service terminates at the railway station. You will notice from the programme that the 2017 Congress will have a Welsh theme. The RDP Ceremony will take place at the City Hall. Cardiff, the capital city of Wales, is a vibrant place with a wealth of history surrounded by beautiful countryside. The venue for Congress is situated in the centre of the city. Close to the hotel is a modern shopping centre together with many traditional and interesting arcades. You are also a short walk to the St David’s shopping centre with a world class concert hall and restaurants to suit all tastes. Close by is the Principality Stadium, known throughout the world as the Millennium Stadium, the home of Welsh rugby. 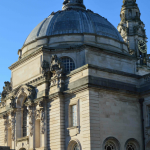 From the hotel, the museum and art gallery , next to the City Hall, is a 5 minute walk across the a park and the castle with its adjoining Roath Park is only 10 minutes away. Cardiff is well worth a visit. For the more adventurous, the Baycar with its stop close to the hotel will take you to Cardiff Bay with its spectacular opera house, Norwegian Church and the Dr Who Experience. Further afield is the rural history museum at St Fagans.